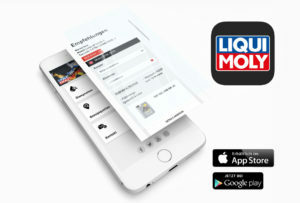 German oil maker Liqui Moly has revised its mobile app. At the centre of the redesign is the oil guide. In it, the user enters the brand, model and engine type and the guide indicates which oil to choose. As oil is specialized these days, it must match the engine or risk facing engine damage. The app also provides details of the other operating liquids the vehicle requires such as oil for the transmission and power steering, brake fluid and antifreeze. The app is useful because it helps to keep track of what oil is needed where, said Harry Hartkorn, head of application technology with Liqui Moly. “And for professionals, it clears up any uncertainties – whether in the garage or when selling products to drivers,” he added. The app also shows where the company’s product is available, provides background information on oils and additives and also features the latest news from Liqui Moly. It has been completely newly developed and is now more streamlined and intuitive to use than the predecessor version. It is available free of charge in English, German, French, Spanish, Dutch, Norwegian, Finnish, Swedish, Portuguese, Russian and Italian from the Apple App Store and the Google Play Store.